First, welcome to first entry posted to this blog under our new name, Postlandia, and a simpler URL. Hope you like the modest changes! 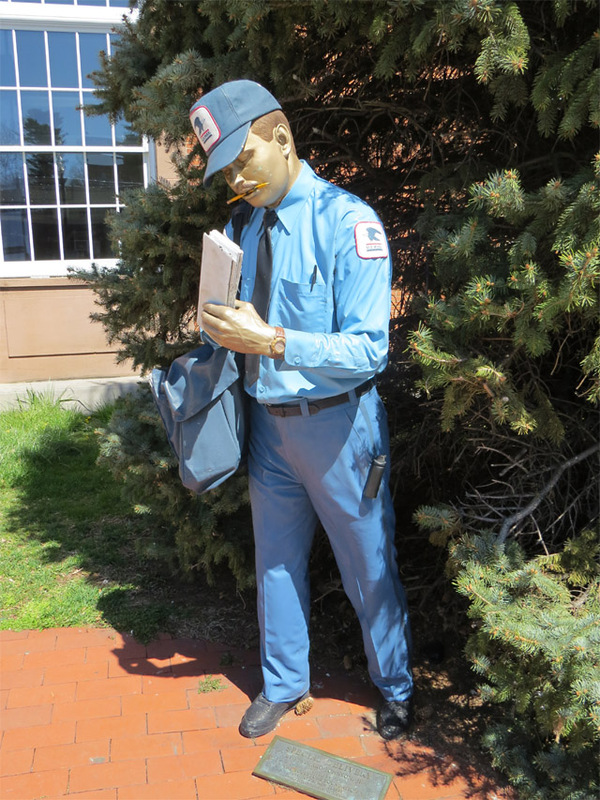 Residents of the historic community of Renovo, Pennsylvania are proud of their New Deal post office. 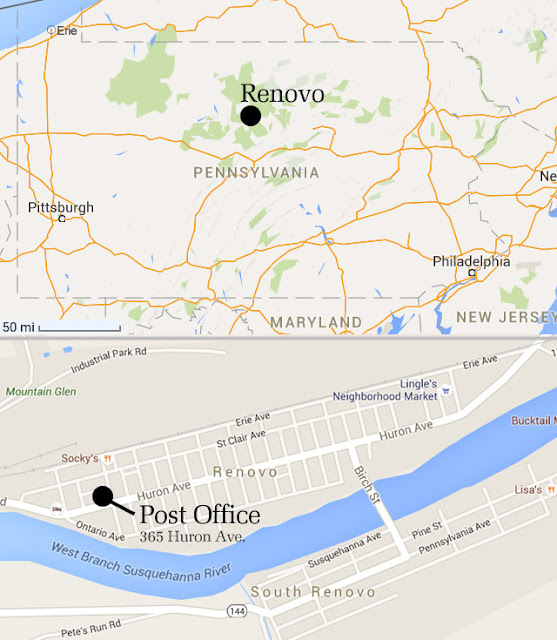 Renovo is a comparatively remote community in Clinton County. 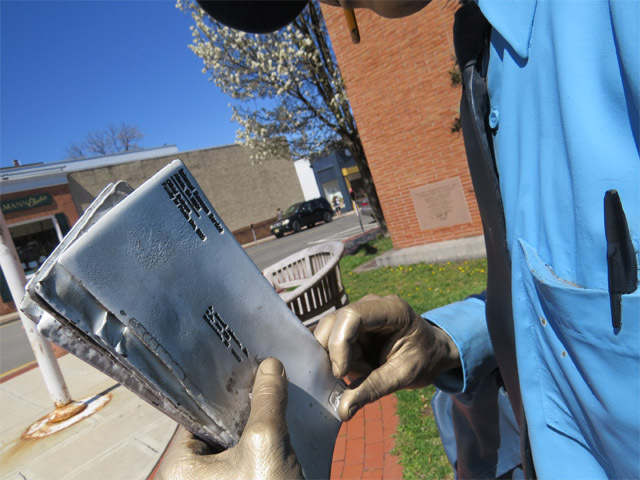 A town built by the railroad, it is nestled along a stretch of the west branch of the Susquehanna River. The town straddles the river along with twin South Renovo. 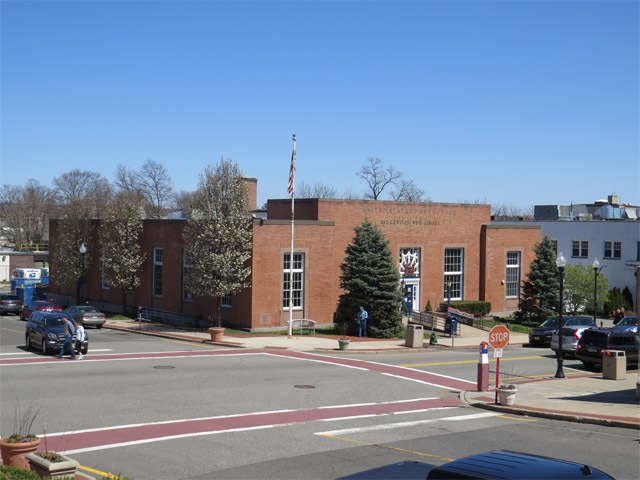 Most of the community's development lies in the wide, three-block-deep grid of roads that was established during the 1860s. The community's present population is about 1,200. To get some more of our bearings, let's go to the map! Note the comparative distances of Renovo from Erie, in the northwest corner of the state, and Philadelphia in the southeast. Former resident William Conti, a former resident, writes: "Renovo was built and incorporated as a railroad town by the Philadelphia & Erie Railroad, halfway between the two cities where their extensive Shops were constructed for building and repair of locomotives and other railroad functions." 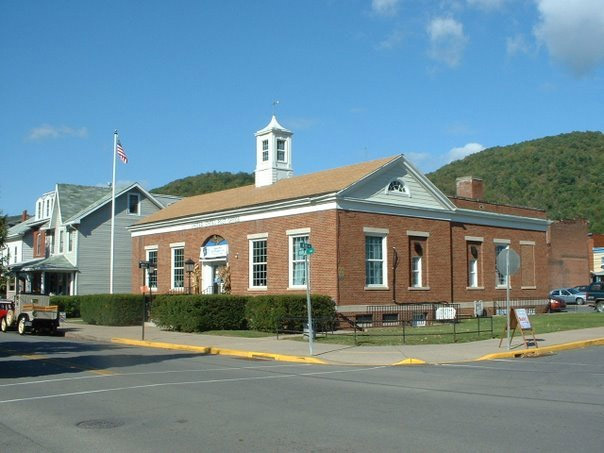 A post office was established in what is now Renovo in 1851; however the town (and post office) were not so-named until 1863. 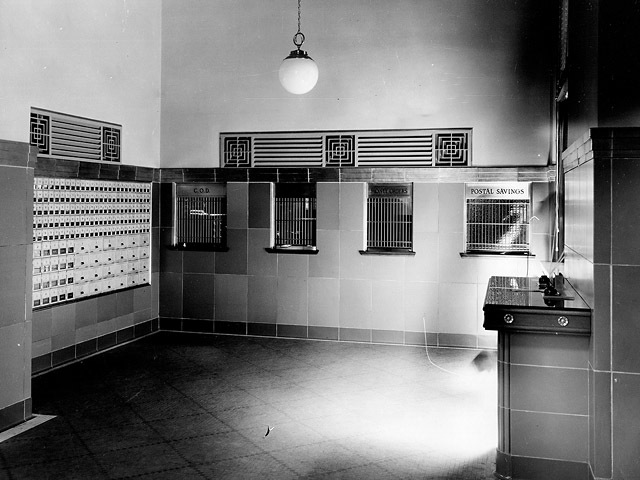 The first post office, with Michael Stout as the first postmaster, was known as Drury’s Run. 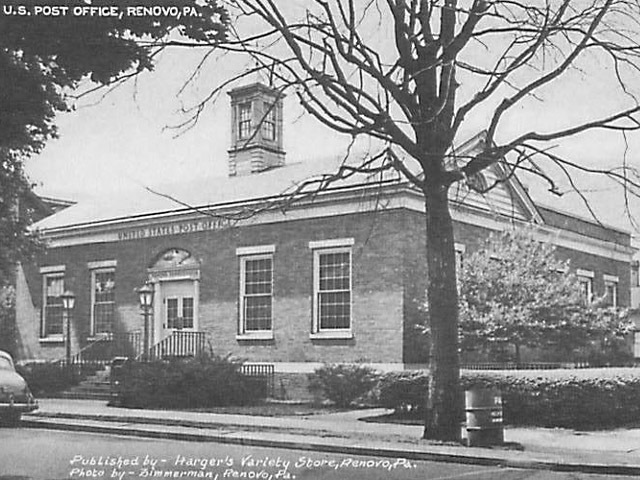 Renovo's present post office was constructed toward the tail end of the New Deal. 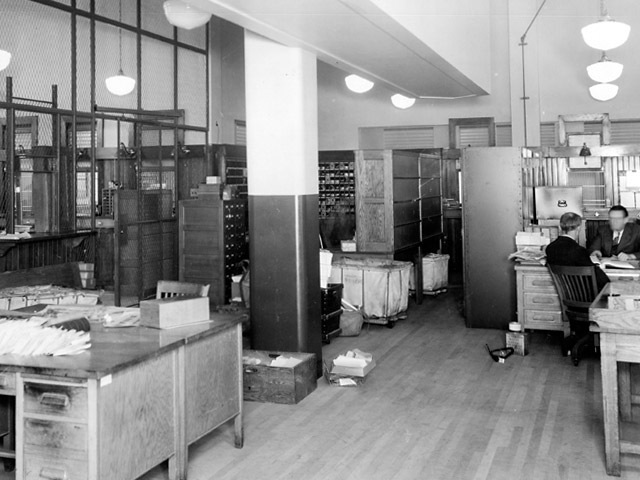 USPS's Owned Facilities Report lists the site occupation date as June 1941. 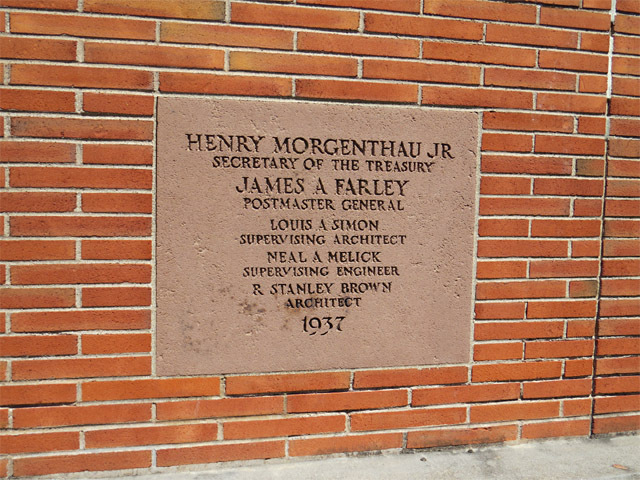 (Most New Deal facilities were dedicated during the 1930s.) 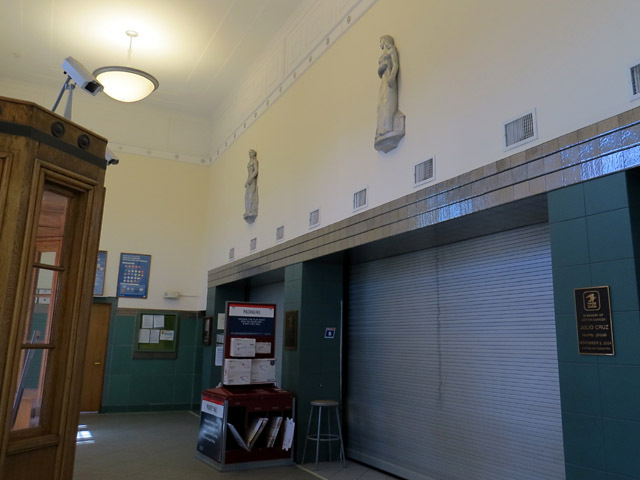 Conti notes that the building was designed in traditional "Colonial" style. 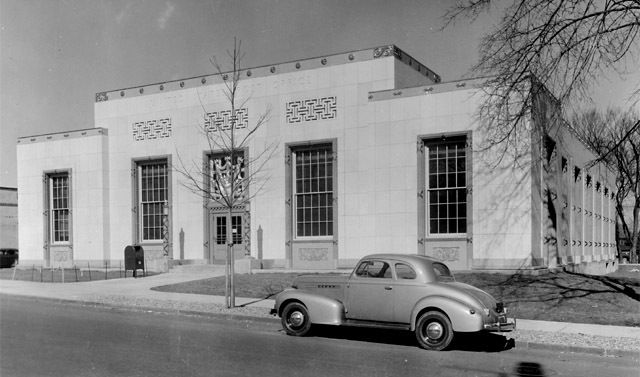 Thank you to Bill for providing multiple great images of the building. Here are a couple of views, old and new. 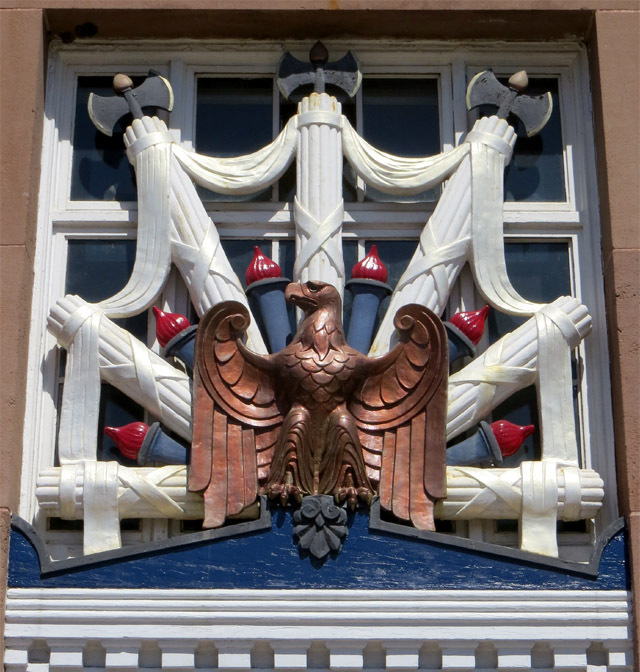 The historic building houses an example of New Deal artwork. 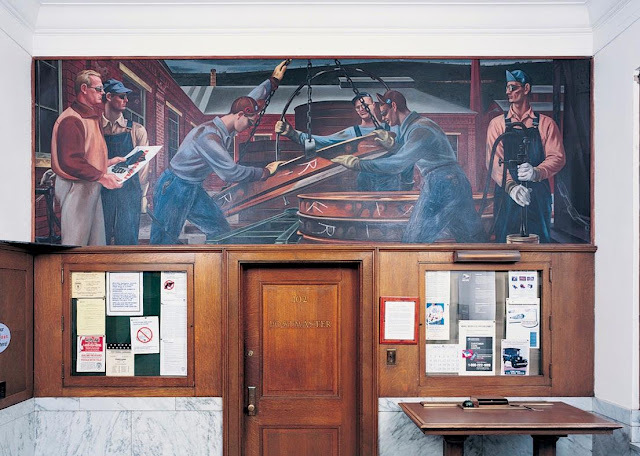 Harold Lehman was commissioned by the federal Treasury Section of Fine Arts and his oil-on-canvas mural, "Locomotive Repair Operation," was completed in 1943. 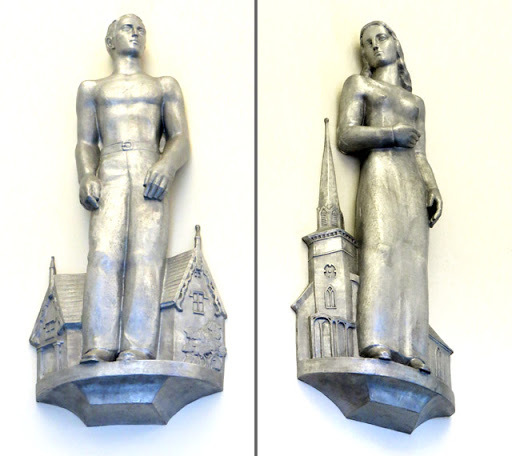 It was one of the last works of art to be installed in our nation's post offices; funds that had been dedicated to FDR's New Deal efforts were put toward the growing war effort. 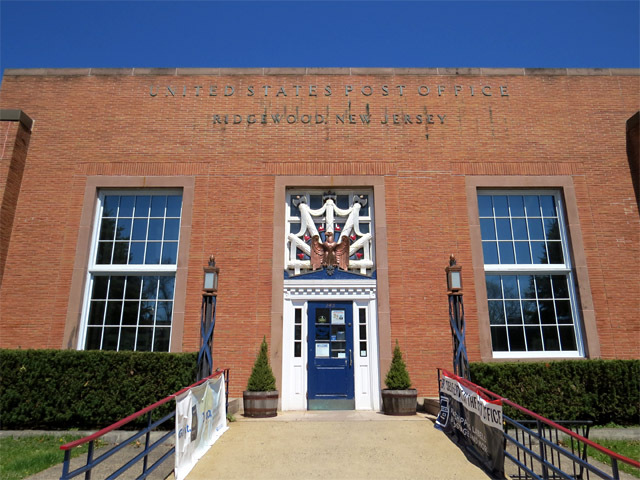 The Pennsylvania Historical and Museum Commission has posted a great webpage dedicated to the state's New Deal postal art legacy here.